(NEW YORK, New York. 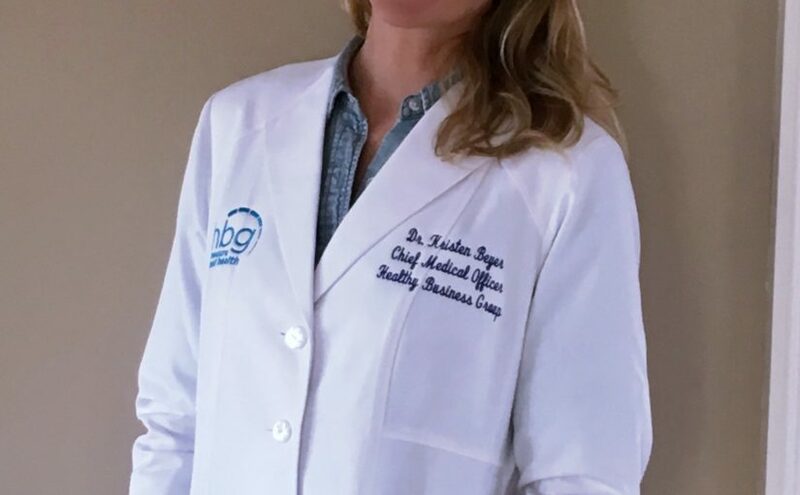 February 6, 2017) Healthy Business Group (HBG) announced the addition of Dr. Kristen Beyer as its Chief Medical Officer. Dr. Beyer joined HBG after five years as a clinical bone marrow transplant specialist at Memorial Sloan Kettering Cancer Center. She will lead the company’s Health Innovation Team and serve as a patient-centric “human hub” to connect employers and employees to resources that would best serve their health and wellness needs. HBG, a workforce health-improvement solution provider, formed its Health Innovation Team to keep up with rapidly emerging technologies and solutions in healthcare. The team will source and implement best practices that improve health outcomes for patients and control costs for employers. Chronic and high-impact diseases such as cancer and metabolic syndrome, which can lead to heart disease and diabetes, affect a growing slice of the population. Middle-market companies not large enough to access market-leading health and wellness support often bear the consequences for suboptimal health outcomes among their workforce. Dr. Beyer will lead a team that has deep roots in the employer benefits and wellness industry. Her broad base of healthcare experience will help HBG deliver large-company benefits to middle-market employers. Dr. Beyer is an experienced researcher and clinician who has worked in cancer and outpatient care. She has published on the role of pharmacists in cancer and palliative care services. She is a contributing author to the Book of Cancer Pharmacology and has published recommendations on improving the delivery of care for bone marrow patients. Find out more about maximizing health and wellness in the age of cost control. Email Kylie Morrissey or call 631.808.3200 to engage with HBG.